In one form or another, this game has been in development for ages. Yet, as recently revealed in Square Enix’s Active Time Report (via Dengeki Online), there are still new things we are learning about it. 1. Crash the Flying Car and It’s Game Over. You can crash the car during take off and landing. However, Square Enix said it won’t be difficult to do either. 2. You Can Save In Places Other Than Your Camp Site. There is no climbing action in the game. Sorry if you wanted to climb stuff. You can’t, apparently. 4. 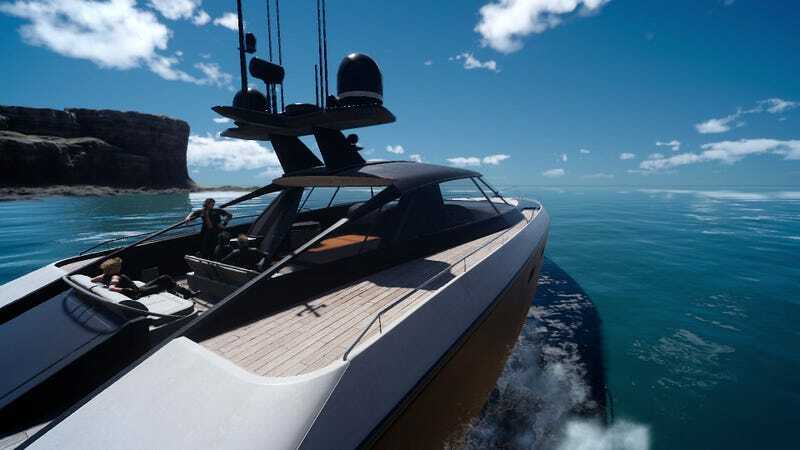 You Cannot Steer the In-Game Boats. You can move the camera around, but sadly, you cannot control the boat. 5. You Can Listen to Final Fantasy songs on the car radio. It’s not like there will only be, say, ten FF songs; however, you cannot create custom soundtracks with your favorite tunes, because of regional copyright issues. 6. 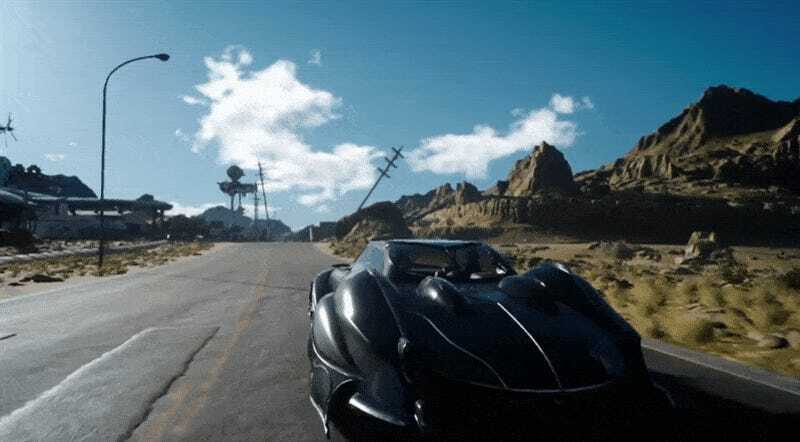 FFXV Has Fast Travel. You can select previous camp sites from the map. 7. Characters Will Have Skill Trees. The game will have a skill tree type set up so characters can learn new abilities. 8. The Game Was Influenced by Hajime Tabata’s Travels. While in his 20s, Tabata took a long trip through Europe. Tabata says that, like Noctis and co., he was young and didn’t have much money. Those experiences influenced the game, he adds. 9. Cars are Faster than Chocobos.